A new edition of (The CAMRA Guide to) ‘London’s Best Beer Pubs & Bars’ has been published following a huge growth in the number of Microbreweries and a renewed interest in real ale in the capital. 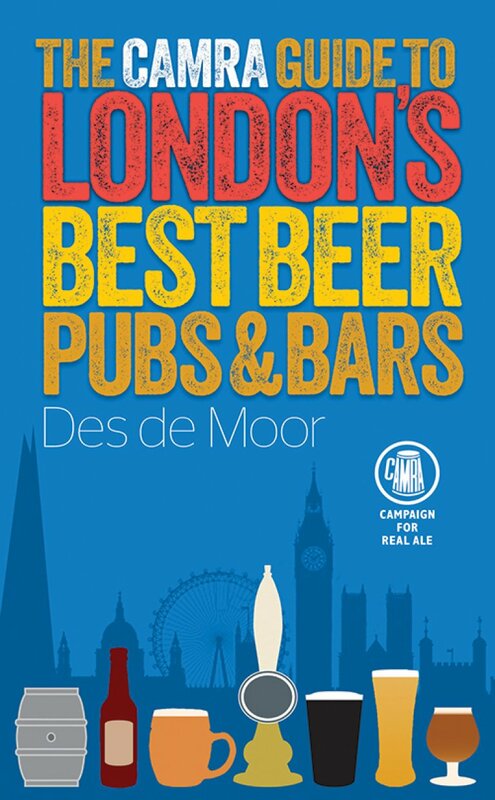 Authored by renowned beer and travel writer Des de Moor, London’s Best Beer Pubs & Bars is a fully up to date reflection of the growth of London’s beer scene, including traditional pubs, specialist beer bars, bottle shops and much more. The 250 venue listings are fully illustrated with great colour photographs and include a variety of real ale pubs, specialist beer bars, brewery taprooms and other outlets, with detailed information on opening hours, local landmarks, and public transport links to make planning any excursion quick and easy. The book also includes a comprehensive listing of London breweries. There really has never been a better time to be a beer drinker in the capital and ‘London’s Best Beer Pubs & Bars’ ensures readers have all the information possible to get the most out of a buzzing beer scene. Copies of the book can be purchased from the CAMRA Shop.